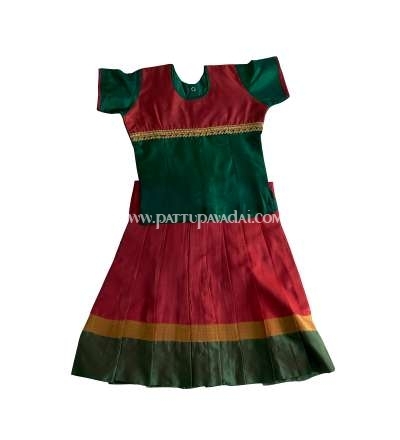 Let your princess shine out in the crowd with our stunning fancy silk cotton Pavadai. 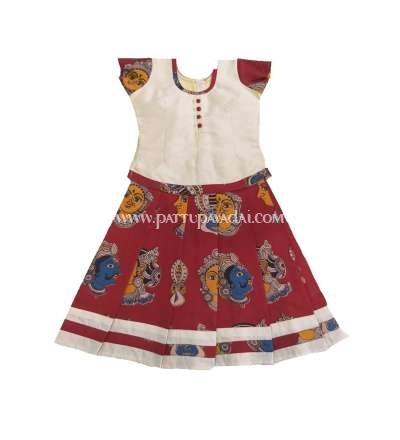 We have aesthetically designed uniquely crafted kids pattu pavadai for kids which is one of the age old myriad tradition in our Indian culture. All our dresses are made carefully out of high quality fabrics and stitching which is comfortable for babies and kids to wear for any occasion. Our silk cotton pavadai’s are formed in typical colors and designs which is perfect traditional attire for your little one. Adorn her with a classy style statement for festivals, wedding ceremonies, temple visits or any special occasions with this ethnic set that will make your princess look adorable. You can find the fabulous two tone contrast color combination blouse and pavadai’s with the different patterns and designs. The zari work enriched with lavish sequins embellishment and zardosi embroidery works enhances the overall look of the outfit that gives more traditional feel. We guarantee beautiful fancy silk cotton pavada for your little princesses and our range can surely transform the girls into a style diva. Peacock designs, temple designs, traditional mango designs, flower border designs … you can find them all at pattupaavadai.com. These children's outfits are available online in sizes for - newborn babies, toddler and teenage girls. 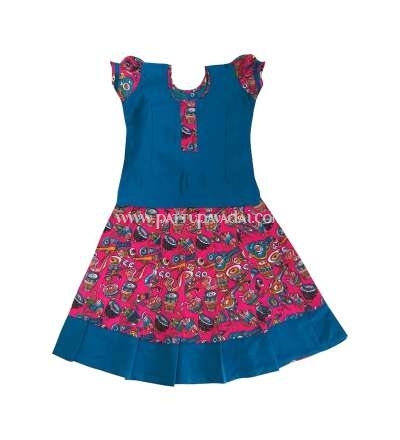 Raw Silk pavadai can be worn in all seasons since the dress is stitched with the pure cotton inner lining that is rare in this type of dress which makes your kids feel comfortable in the dress for the whole day. 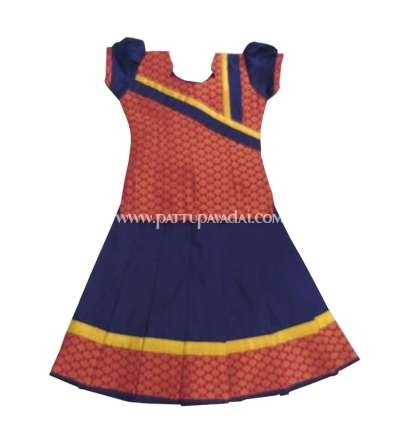 Here at pattupaavadai.com, all your requirements will be fulfilled regarding the design, color, size and customization or made-to-order ethnic wear. 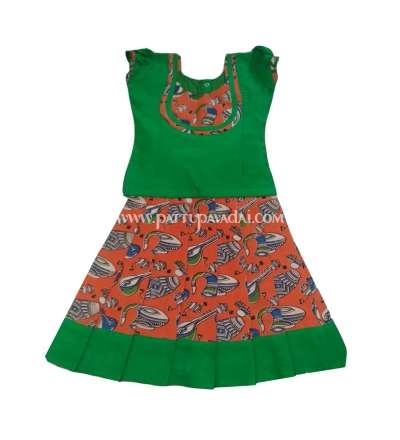 You can always gift your loved ones lovely vibrant colored ethnic wear for their kids which will never cease to please them. 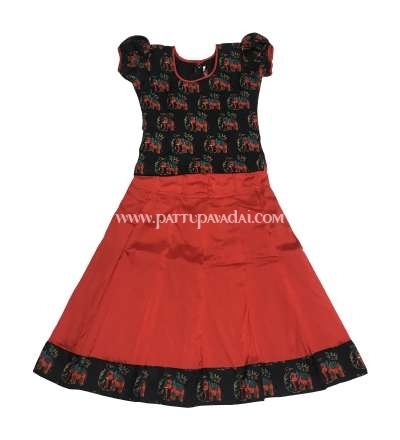 Browse pattupavadai.com to pick the gorgeous outfits for your little girls.